Warning, long and picture heavy post! 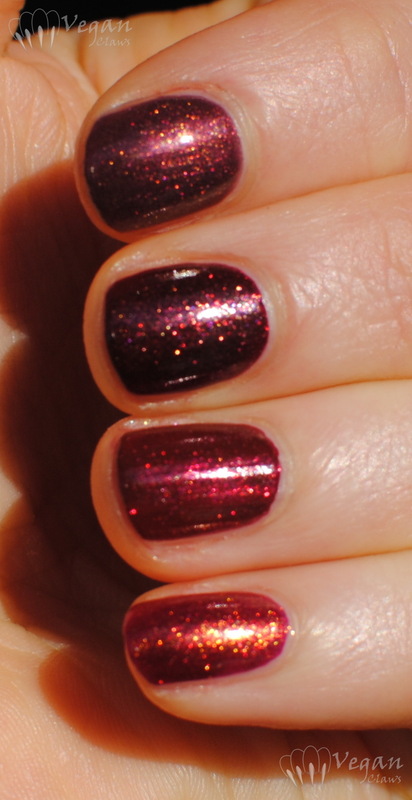 I had a Black Dahlia Lacquer mani that just kept evolving! 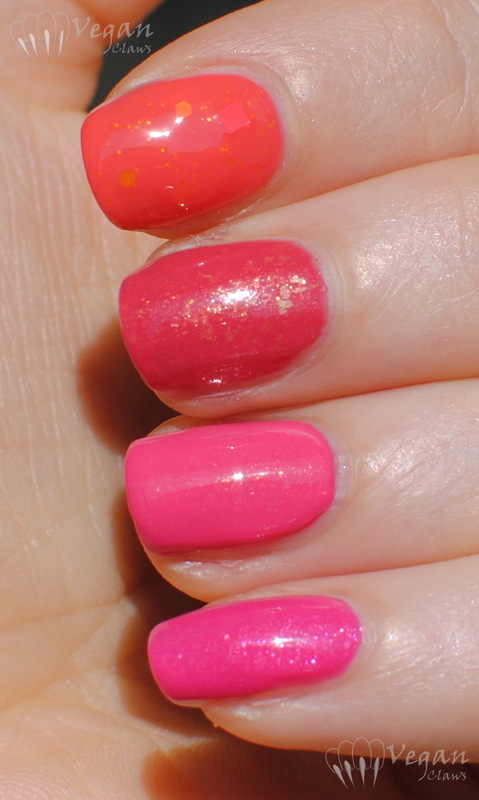 Except where noted, these were all two coats plus top coat. 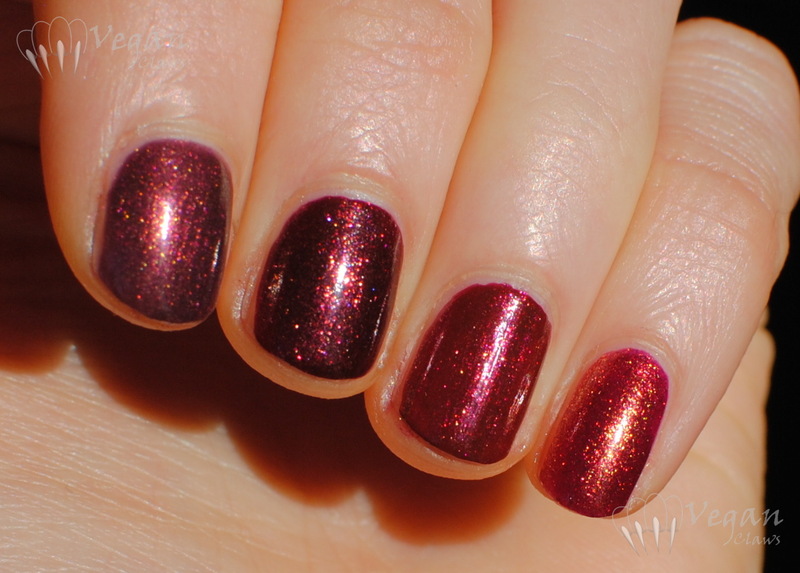 These two have a similar crelly finish with tons of colour-shifting glass fleck shimmer. I didn’t take a picture of the right hand for Part 4. 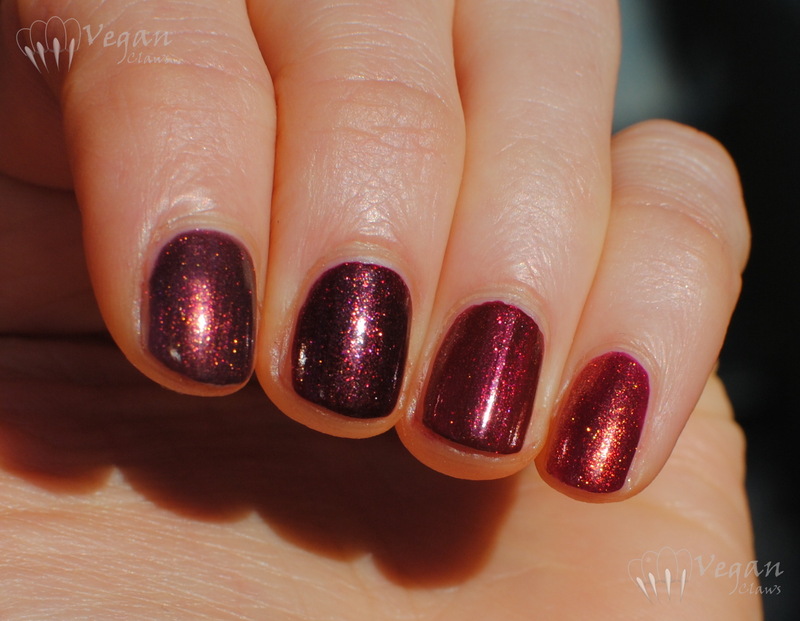 Rose Petals is a cooler pink, with pink shifting glass fleck shimmer, whereas the shimmer in Strawberry Fields is all tiny gold flakes and is less prominent once on the nail. I have two pretty blues to show today; unfortunately I didn’t get the greatest pics of them but here they are! First one under Ott Lite, others with flash. 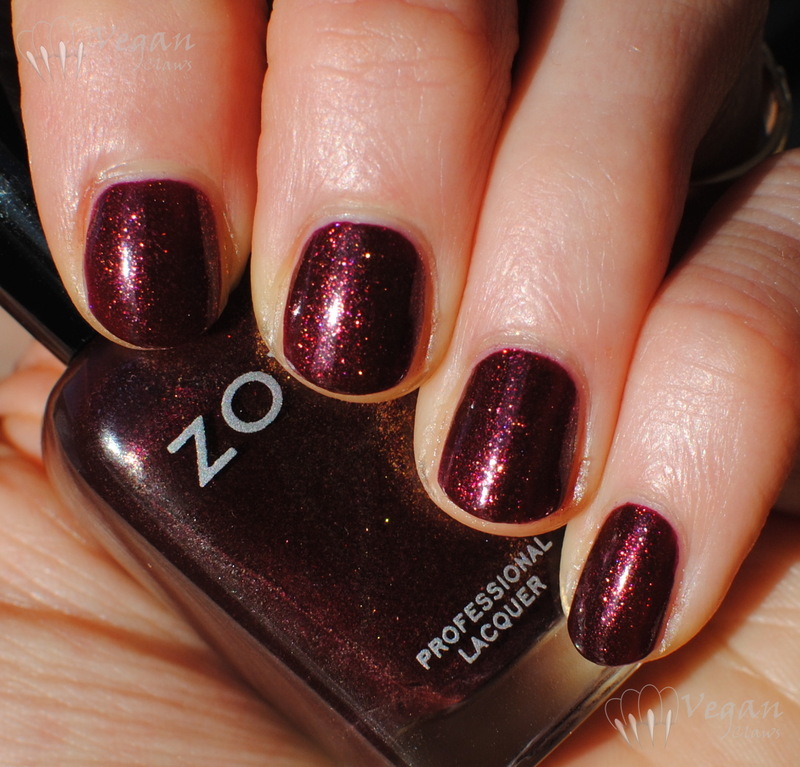 Zoya Rayne is from the recent spring Delight collection. 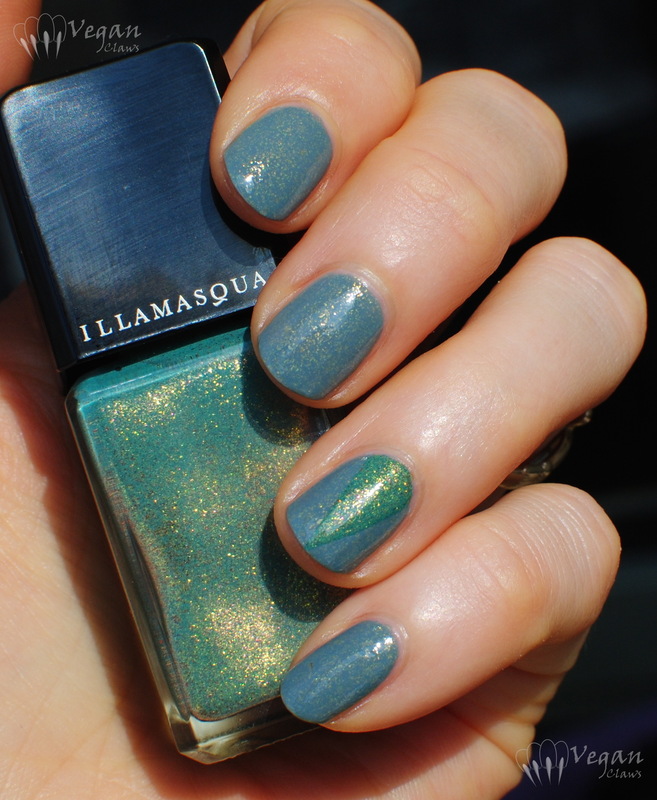 It has great turquoise glassfleck shimmer. I used three coats plus topcoat. The accent nail is Northern Star Polish Sweet Alice, a creamy blue with subtle shimmer flecks. Also three coats plus top coat. 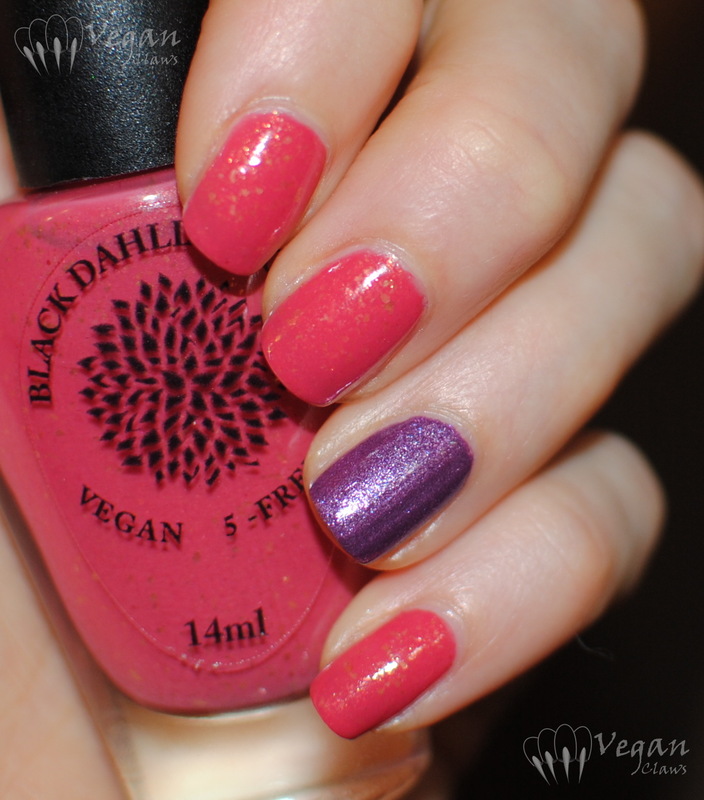 Today I’ve got three beautiful Black Dahlia Lacquer polishes to show you! The first one is Lime Green Daisies, which was from the New Year’s multichrome flake duo. 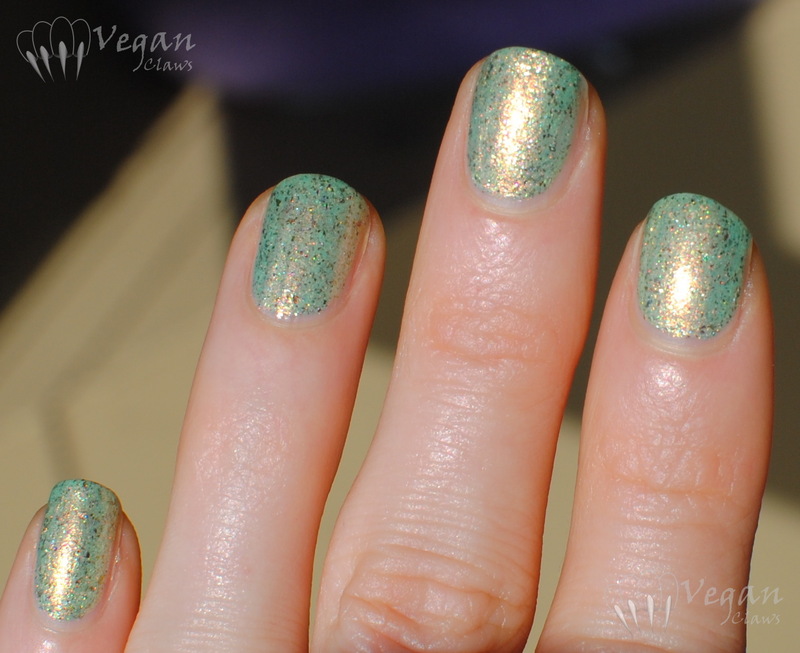 It’s a metallic, yellow-toned pastel green with copper-pink/green multichrome flakes, strong gold shimmer, and turquoise glass flecks. I used two coats plus top coat for this swatch. Next is Lilac Petals; this was the exclusive extra polish I received in a ‘buy 4 petite-sized polishes get an exclusive petite polish free’ sale not long ago. It’s got a denim blue base with metallic red-maroon flakes and pink and blue glass flecks. The photos show two coats, no top coat. Love! And the third polish I have to show today is Bleeding Hearts. This is from the Valentine’s Day collection. It’s an almost-neon pinky purple with multichrome flakies and turquoise glass flecks. 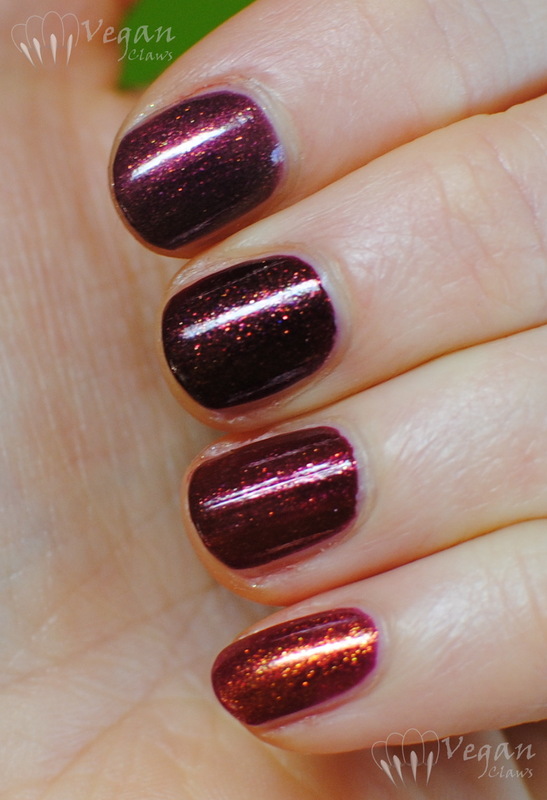 I used three coats, although two would probably be fine as well, and no topcoat in this swatch. 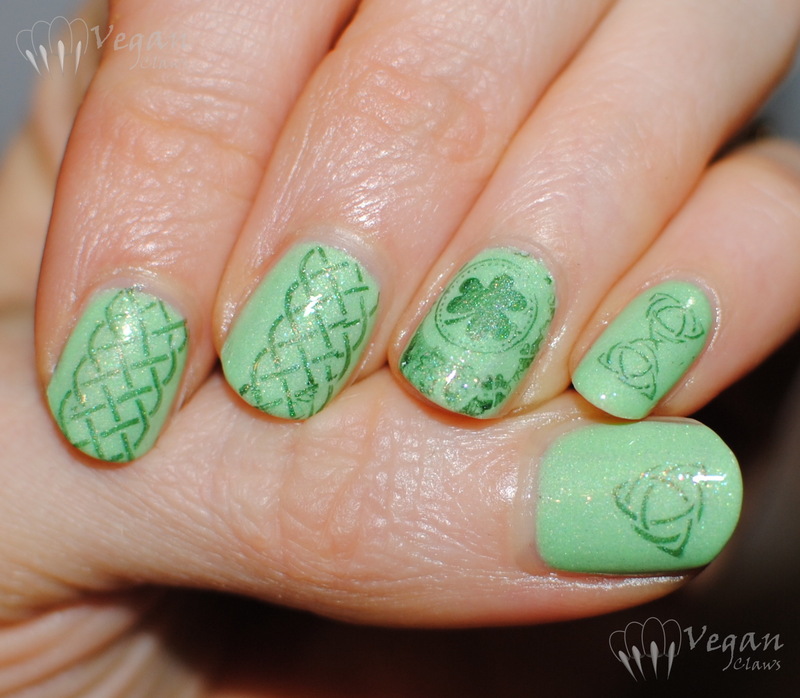 Today I’ve got Picture Polish Tail Feather and some St. Patrick’s Day stamping! 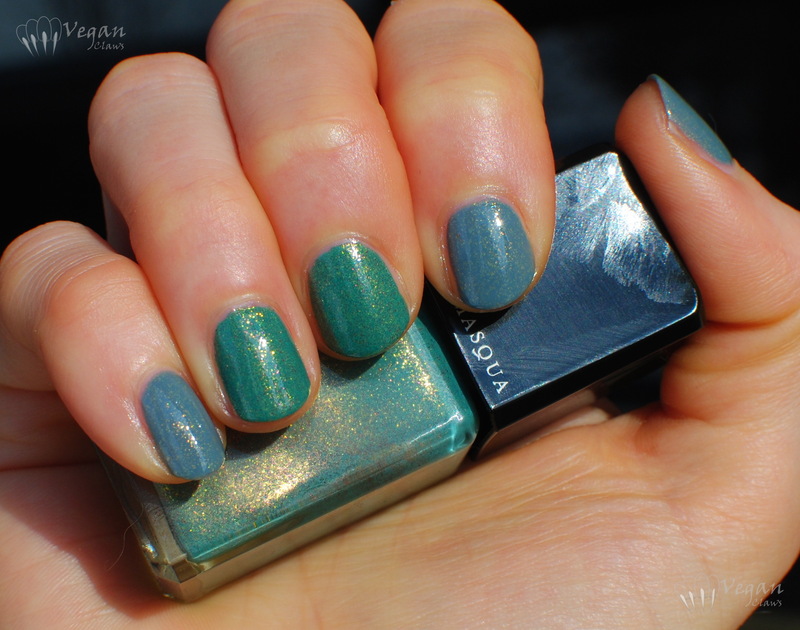 Tail Feather has a minty, slightly yellow leaning pastel green base with very subtle scattered holo and less subtle multi-coloured glass flecks. All photos with flash except the bottle shot. Shown in three coats, no top coat. It was a little patchy over my ridgey nails but not too bad. This next shot shows off the multi-coloured glass flecks in the bottle. I had to add a fourth coat in the morning because silly me thought that since the polish was so shiny on its own I would leave it without topcoat and go to bed, and I woke up with sheet marks. 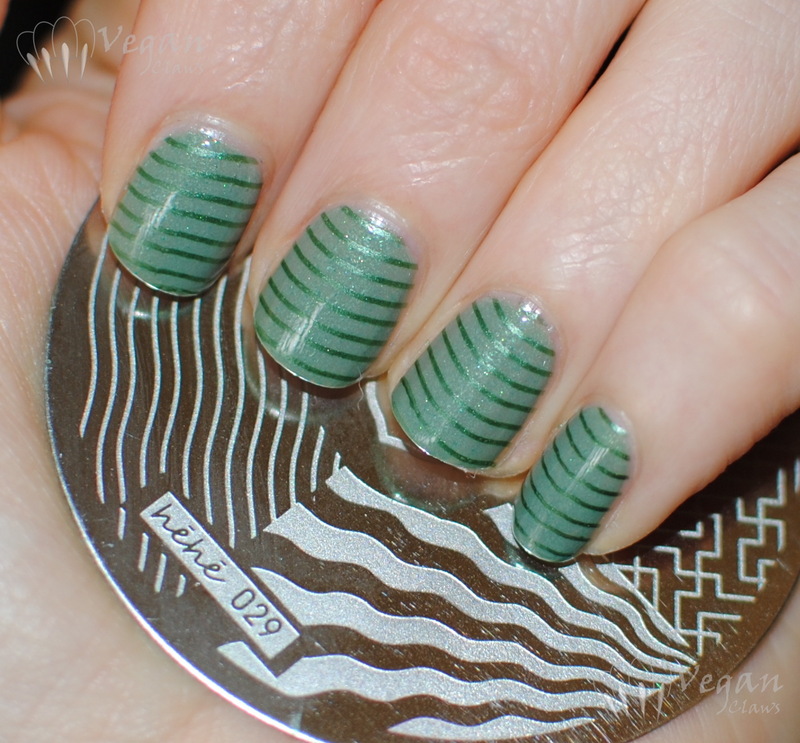 So that’s four coats of Tail Feather underneath the stamping in the rest of the photos. 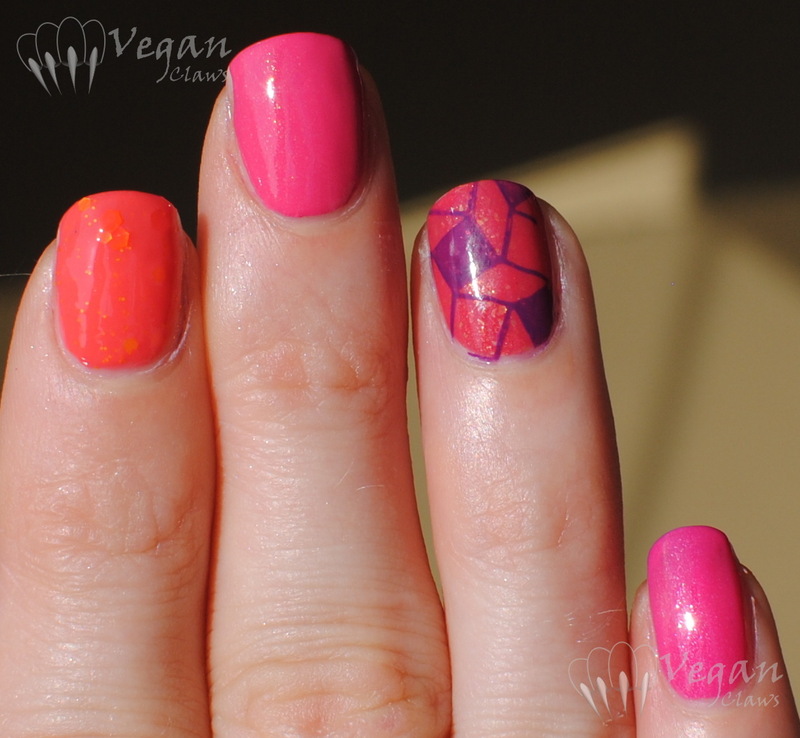 Disclosure: the stamping plate in this post was provided free of charge by Nail Polish Canada. Black Dahlia Lacquer Wild Bergamot is a medium blue-grey creme with dense gold flake shimmer. Here it is shown with flash. 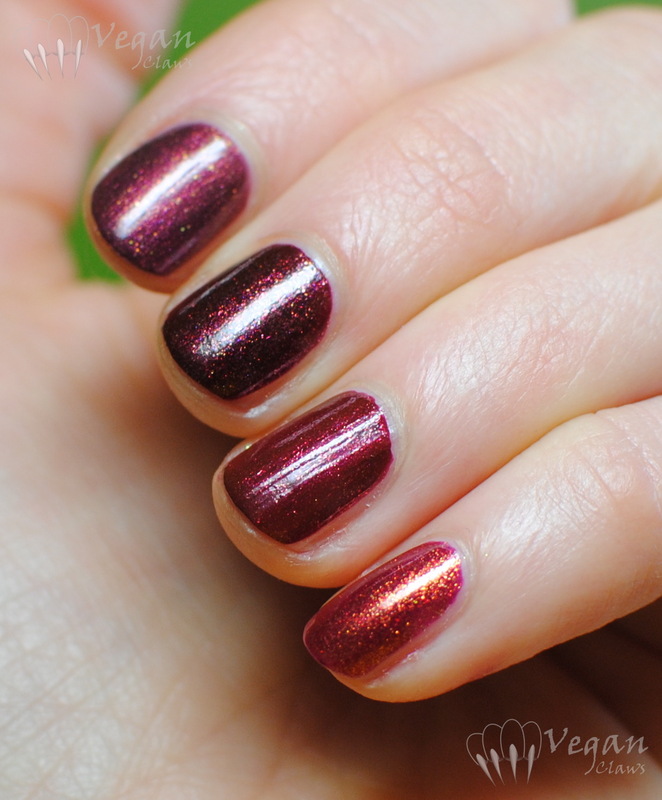 This was a ‘one-batch’ polish and I just checked and it looks like unfortunately it’s already sold out as it’s no longer listed in the Black Dahlia Lacquer store. 😦 BDL people, if there’s any one-batch polish that you change your mind about and add to the permanent collection, make it this one!! 😀 I love it that much! It’s a unique shade of blue-grey in my collection. 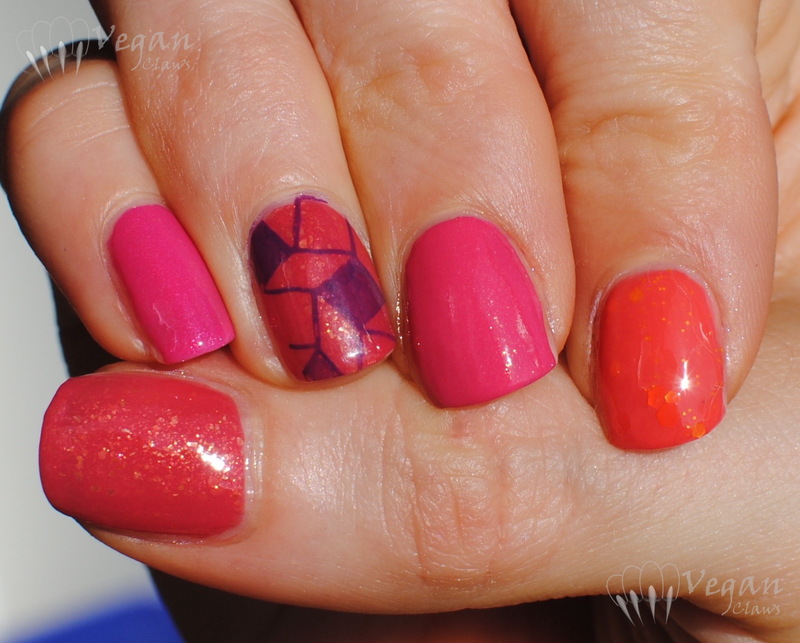 I added an accent V of Illamasqua Mélange on my ring finger using scotch tape to make the V shape. The rest of the photos are in the sunlight that appeared a little later yesterday.